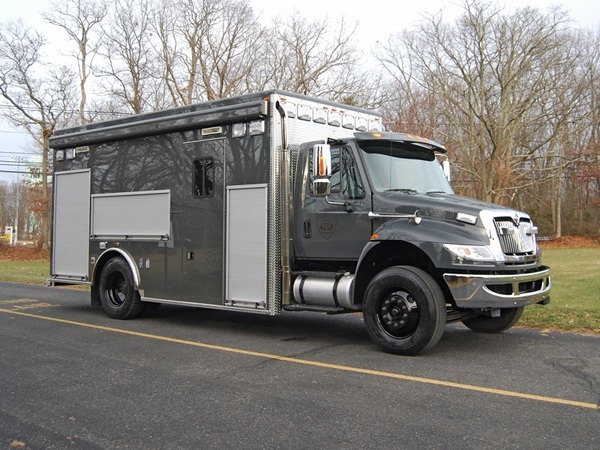 Nassau County (NY) Fire Marshal-HAZMAT took delivery of an 16′-3″‘ Rescue 1® heavy duty walk-around rescue with upper storage on a International 4400 chassis from Alan Rich, Specialty Vehicles, Inc., East Farmingdale, NY. 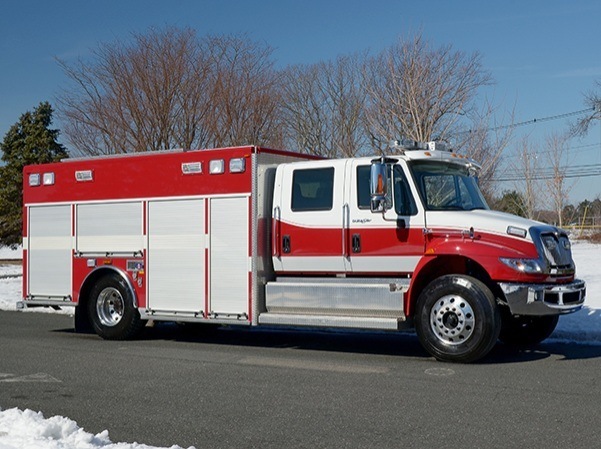 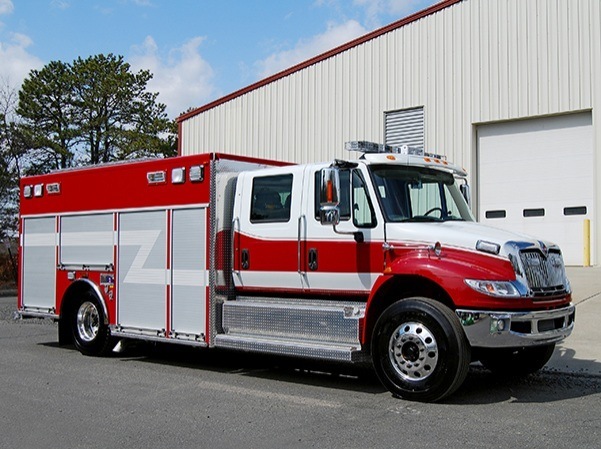 Totowa (NJ) Fire Department took delivery of a 16′-3″ Rescue 1® heavy duty walk-around rescue with upper storage on an International 4400 chassis from Kevin Todd, New Jersey Emergency Vehicles, Manasquan, NJ. 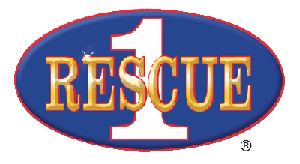 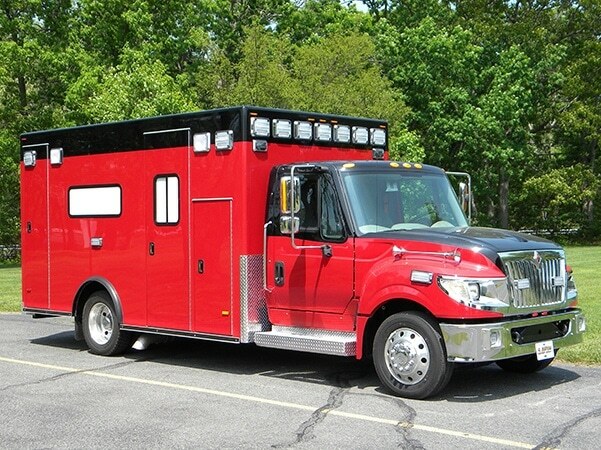 Evansville (IN) Fire Department took delivery of a 16′-3″ Rescue 1® heavy duty walk-around rescue with upper storage on an International 4400 chassis from Dean Martin, Crossroads Ambulance Sales & Service, LLC, Elkhart, IN. 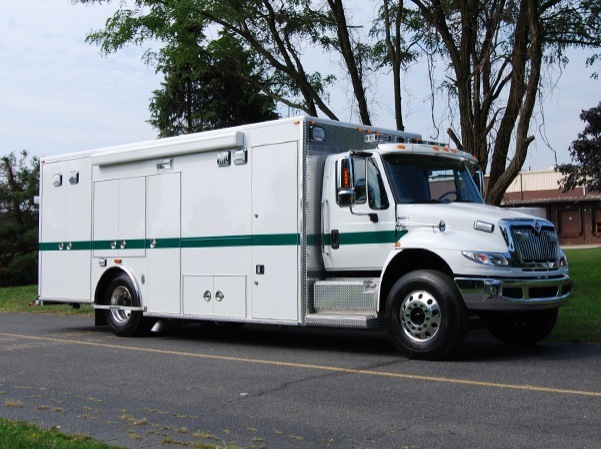 Bergen County (NJ) Police S.W.A.T. 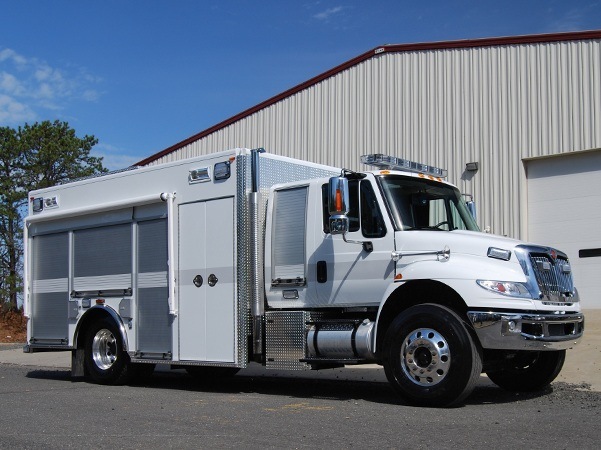 took delivery of a 22′-4″ Rescue 1® heavy duty Crew Walk-In rescue on a International 4400 chassis from Kevin Todd, New Jersey Emergency Vehicles, Manasquan, NJ. 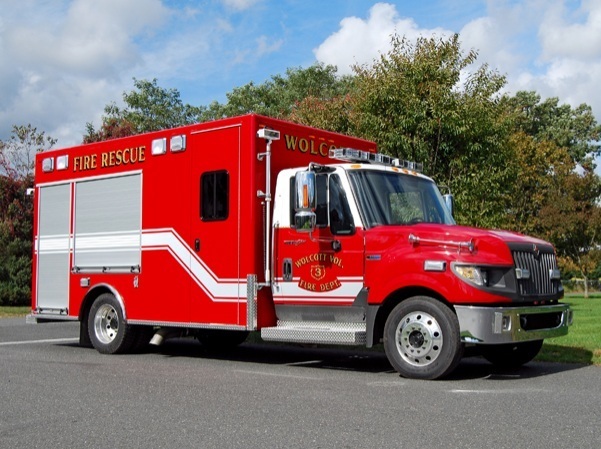 Wolcott (CT) Fire Department Company 3 took delivery of a International TerraStar, 14′-6″ Rescue 1 Walk-In rescue from Jim Wilkinson, New England Fire Equipment & Apparatus, North Haven, CT.
Union County (NJ) Police Bomb Squad took delivery of a International 4400, 18′-9″ Rescue 1 Walk-In heavy rescue from Richard J. Orlando, New Jersey Emergency Vehicles, Manasquan, NJ.